About - Global CFS, Inc. 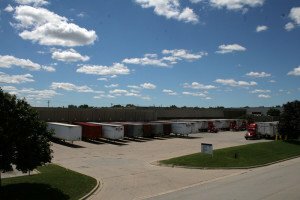 Global CFS, Inc. has built a reputation as the most dependable truck transportation and container freight station cargo handler in Chicago. the nineteen year track record of security compliance in accordance with the federal guide lines of Homeland Security as the CBP Centralized Examination Station at the Port of Chicago is a testament of the knowledge, dependability and security we have provided in servicing U.S. Customs and the community of the International Freight Forwarders Association of Chicago. Global CFS has expanded its trucking lanes to all lower 48 states for full truck load services. We are specialists in cargo security and our high tech fortune 500 client base speaks for itself as to the care, custody and control we continually provide in airline and rail head cargo retrieval, warehouse services and final delivery while providing real time status information. Global CFS is a Chicago based logistics company specializing in truck transportation of international import and export freight. Global CFS has proven to be the choice of the many fortune 500 companies we service at the port of Chicago.